Tobacco smoking is the single most important modifiable cause of serious long-term health risks for both the women and their babies. Smoking cessation interventions in pregnancy reduce the proportion of women who continue to smoke in late pregnancy, and reduce low birth weight and preterm birth. Low birth weight has been associated with coronary heart disease, type 2 diabetes, and being overweight in adulthood. Smoking cessation interventions in pregnancy need to be implemented in all maternity care settings. Given the difficulty many pregnant women addicted to tobacco have quitting during pregnancy, population-based measures to reduce smoking and social inequalities should be supported. There is emergent evidence to support tobacco dependence interventions in the perinatal period. However, despite the harmful effects of smoking in the perinatal period, tobacco dependence intervention for this priority population is insufficient. 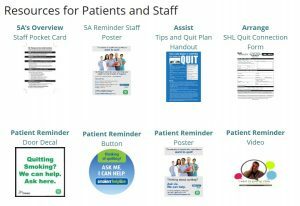 In order to gain leadership support for the integration of tobacco dependence interventions into practice, it is important to incorporate evidence into planning tools and discussions with decision makers. Why start from scratch when there are evidence-based program examples and tools which already exist to help you move your project forward. These programs include a variety of models/frameworks, templates, tools, and resources to help you plan, implement and evaluate your program. Contact the programs directly for more information or resources. 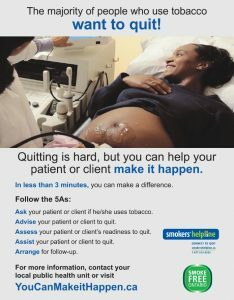 The goal of Prevention of Gestational and Neonatal Exposure to Tobacco Smoke (PREGNETS) is to reduce smoking in pregnant and postpartum women by increasing their capacity to quit and stay quit using a woman centred model of care. 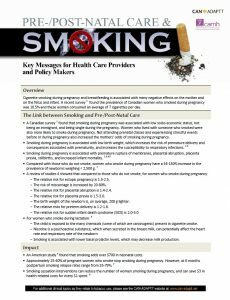 The Pregnets toolkit has been developed for health care providers, educators and researchers and provides the essential components to address smoking reduction and cessation among pregnant and postpartum women. A complete and comprehensive list of maternal health programs, guidelines, data registries, webinars and literature are available on the Pregnets website. 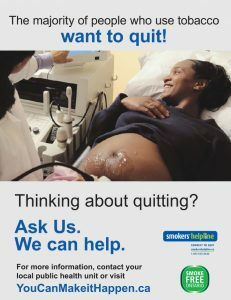 If you’re interested in reading about the experiences several Ontario women have related to pregnancy and quitting smoking, we encourage you to sign up to follow the blog by email. Compare your local smoking in pregnancy rates to Canadian rates.